The Davis’s Do Derby. Kind of. In Louisville, Derby just IS. 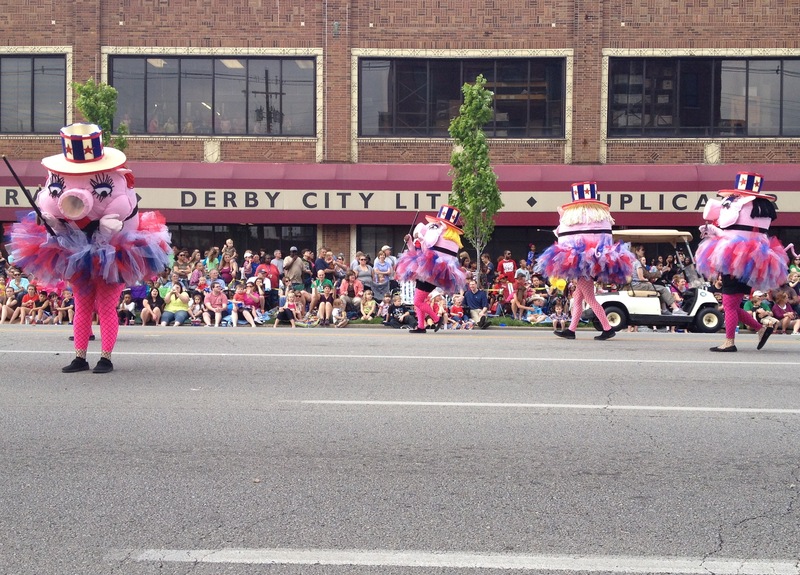 For two weeks, Louisville lives, eats and doesn’t sleep for Derby. The excitement is infectious. Even at school, the kids design their own racing silks and Derby hats. They have “Derby Activities” where everyone goes outside and participates in relay races. My heart wants to jump into the celebration full throttle, but so many of the events aren’t kid-friendly. Not really. Everything gets kicked off two weeks prior to Derby with Thunder Over Louisville, the largest fireworks show in the nation. “That’s kid-friendly,” you say. This year, they were expecting 800,000 people. Taking kids into that crowd? Not friendly at all. But we watched the top of Thunder over our back fence. So that’s kind of participation. And then there are other events that aren’t parent friendly. The weekend before Derby, there is a hot air balloon race. Every year, I say, “We have to go see the hot air balloons launch.” And every year it’s at 7:00 AM on a Saturday morning. So you can imagine how that works out. Last year was a disaster. Leah had to use the restroom so bad she thought she would die. And a giant balloon got stuck in some wires, so the parade was stalled for 30 to 45 minutes. We ended up leaving without seeing much parade. But THIS year. This year would be better, I determined. I made everyone use the bathroom before we went. A guy let us into his saved seating, so we were right up front. I was pretty convinced the parade officials had warned everyone to avoid power lines with balloons. All good. No. Leah decided her ear hurt so bad that she would die. Isaiah was bored and we were wasting his “play time.” And the parade kept getting stuck. Apparently that’s just how they don’t roll. I was trying to be all cheery and enjoyful. But really, it was kind of boring just staring at the people across the street from us for long periods of time. Today is The Oaks, when they run the fillies. Most Louisville people skip the Derby and do Oaks. In fact, the kids have off of school today. So my son is spending his Oaks day by building the Kentucky Derby out of Legos. One way or another, we’re doing Derby. We like to go to community festivals as a family. The “we” being Chris and I and the “like” being that it seems like a good idea until we get there. Most of the neighborhood festivals in our area consist of booths of pottery, art and handmade jewelry. And festival food. So our kids pretty much spend the whole time whining about being bored and wanting ice cream. Their process of sanctification is slow. Disregarding all of our previous neighborhood event experience, we ventured out to the Belknap Fall Festival last Saturday. The crowds were moderate. It was sunny, with a nice breeze. Everything was perfect. And the kids were doing OK too. They got to sit in the middle of a blocked-off street and draw with chalk. One booth had an assortment of instruments to try out. And a realtor company was handing out balloons. So they got their balloons. But just as we were about to head to the car, Leah’s balloon decided it had enough of earth-dwelling and headed off for outer space. 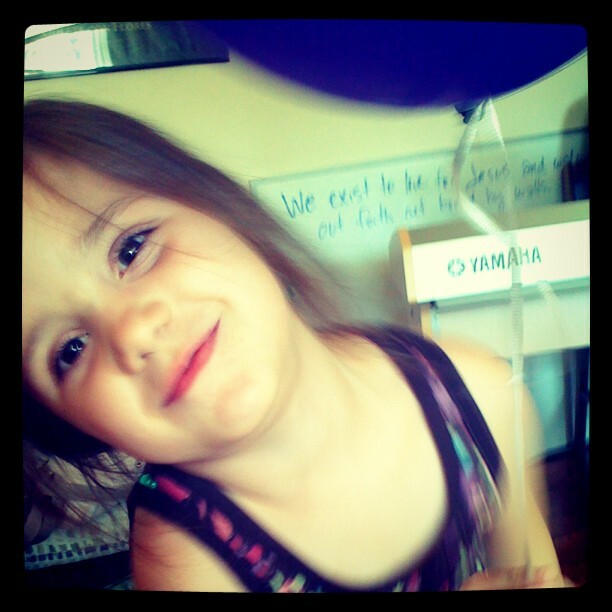 Leah had seen other kids’ balloons flying in the clouds and had cheerfully proclaimed, “That balloon is going up to God!” But when it was HER balloon, there wasn’t anything cheerful about it. We tried to console her as we walked. But the whole, “There will be other balloons,” line wasn’t cutting it. We had gone about half a block when Chris reached into a little tree and pulled out a balloon, identical to the one Leah had just lost. Like Abraham’s ram in the thicket. It was so perfect, that even the older couple walking behind us, observing the whole fiasco, exclaimed about how “lucky” it was. But it wasn’t lucky. Jesus cares about a little girl named Leah. And in His all-knowingness, He made sure a balloon was waiting for her. Just so He could show her He loved her. Kind of makes you wonder what He’d like to do for you today. Just to show you He loves you. So the other day I tried out being Amish. I’m not a fan. We had a BIG storm on Saturday night in Louisville. I mean, I didn’t know it was a big storm at the time. But it was. We were sitting around before Destiny Church, talking with Ron Rhoads, who had flown in to speak to us. And we kind of noticed it started raining. The kids looked out the windows and it was a white-out of water. And Ron mentioned that you could feel the house swaying in the wind a bit. Our windows all started leaking. And the power flickered a bunch before it gave up completely. But I wasn’t really that impressed. Especially because it was all over in about 10 minutes. And the sun came out. And the power didn’t come back on. 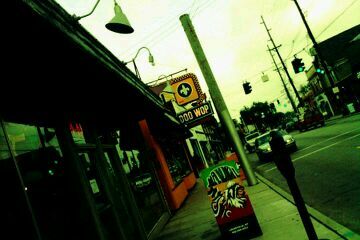 When Destiny Church was over, we drove down Bardstown Road. Most of the street was without power. People were sitting in the dark at outdoor cafe tables. One guy was crouched on the sidewalk, charging his phone at an outlet on the side of a building that still had power. Intersections were blocked off with caution tape. Emergency vehicles screamed by at regular intervals. The restaurants that did have electricity were packed to capacity. Pedestrians aimlessly walked up and down the street. It was like an apocalypse. And when we got back home that night, we STILL had no power. Along with pretty much all the rest of Louisville, but that’s irrelevant. Do you know what no power means? It means no life. Nothing in my house works without electricity. Nothing. I mean, I like technology. And lights. And putting a movie on for my kids when they’re going crazy. Our electricity came back on after about 20 hours, but that doesn’t mean the nightmare was over. The street next to us still doesn’t have power 3 days later. My coffee shop on the corner doesn’t have power. The box that supplies our internet does not have power. I use the internet for everything. Communication, my calendar, recipes, baby-sitting the kids. EVERYTHING. And I guess ATT understood how I felt. 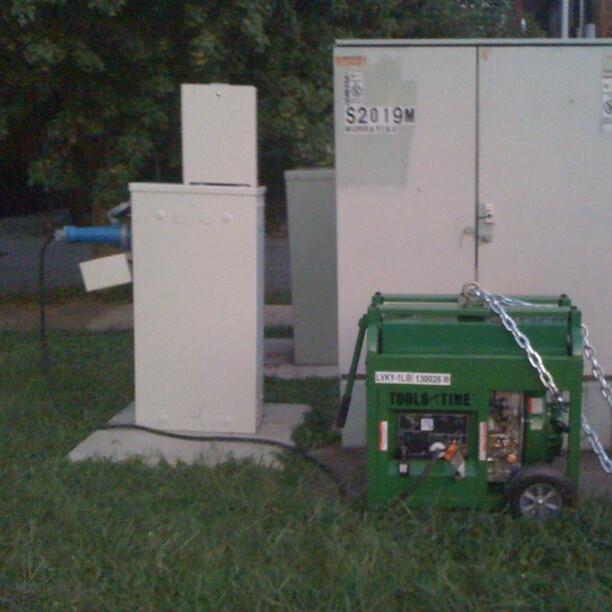 Because there’s now a generator keeping the phone box in our neighborhood running. I’m pretty sure my internet is powered by a generator, friends. That’s insane. You know how people sometimes like to bemoan the absence of “simpler times”? They’re wrong. Stumbling around in the dark with a lantern (flashlight) is a pain. Having no refrigeration? Not cool. Trust me, I’m not moving to Lancaster County any time soon. My kids are gone. Yes, every morning this week they’re spending 3 hours learning about Jesus, thanks to VBS. I’m pretty OK with that. Especially the quiet house part. We have a church in Louisville that is part of Mark Driscoll’s Acts 29 church planting network. We like them. They’re a lot different than us, but they love Scripture and think it’s all about Jesus. So they’re a lot like us too. Lessons focus on who Jesus is, why we can trust him, why we need him, and how he sends his people on mission. Um, yes please. Can I come too? So that’s what my kids are doing this week. Isaiah wasn’t too thrilled when we let them in on our plans for them. Leah was ecstatic. I’ve worried about Leah, because I never put her in preschool or took her to library story-time or anything (second child). And she’s starting ALL DAY Kindergarten this Fall. Cold turkey. Turns out my son got my fear of trying anything new. I took him aside and discussed things with him. We talked about how the first day of school was hard, but things got better. And how the other kids didn’t all know each other either (the church has 4 services on a Sunday). And we reached a compromise that I wouldn’t leave until the music started. So I waited off to the side, probably looking like one of those freaky helicopter moms. 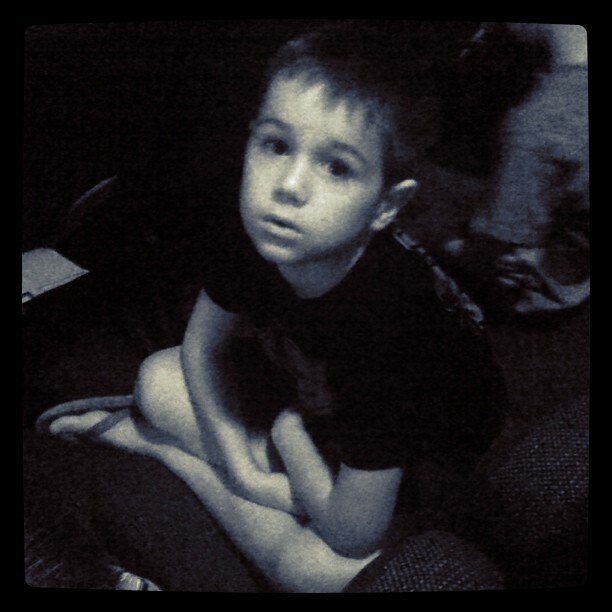 But when my son looked back at me and smiled a little because I was there, I can’t lie: it warmed my heart. And when the music began and he motioned me over and asked for a last kiss, it was a sweet moment. I mean, he’s normally pretty independent. And I doubt he’s going to do that when he’s 15. 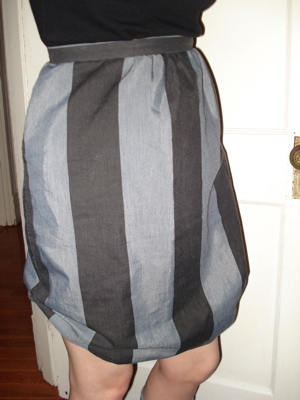 Let me tell you about a skirt that I’d gotten at Acorn Apparel, a Louisville vintage shop. Being a cheapskate, I’d purchased it off the $5 rack. Without trying it on. I know I should have, but ever since the kids, I’ve kind of refused to try stuff on. It’s so annoying: all the taking stuff off, and trying stuff on, and taking it off, and then putting more stuff back on… In a cramped and often dirty room. While small people whine for you to hurry up. And I can usually tell if something will fit by looking at it. Which, I thought was the case with this particular skirt. It seemed straight-forward on the rack. But it wasn’t at all. When I got home and put it on, it looked like and ugly balloon sack that hit at the most unflattering point of my knee. There was a reason it had been $5. I showed it to Chris, who generally tries to be nice and open-minded about what I wear. But even he had to admit it was ugly as sin. I wasn’t done in yet. I operate on a strict, “No clothing left behind” policy. I’d paid $5 for that thing and, by Chanel, it was going to look good! I was still kind of unsure if it was actually wearable in public, so I again showed it to Chris and asked him if it was cute. He said, “I don’t know if I’d say cute…” But he agreed that it looked way better than before. So I left the house in it. And all the girls pronounced it cute and adorable and all that kind of stuff. So I feel like it’s a fashion win. I triumphed over ugliness AND got my 5 dollars worth. 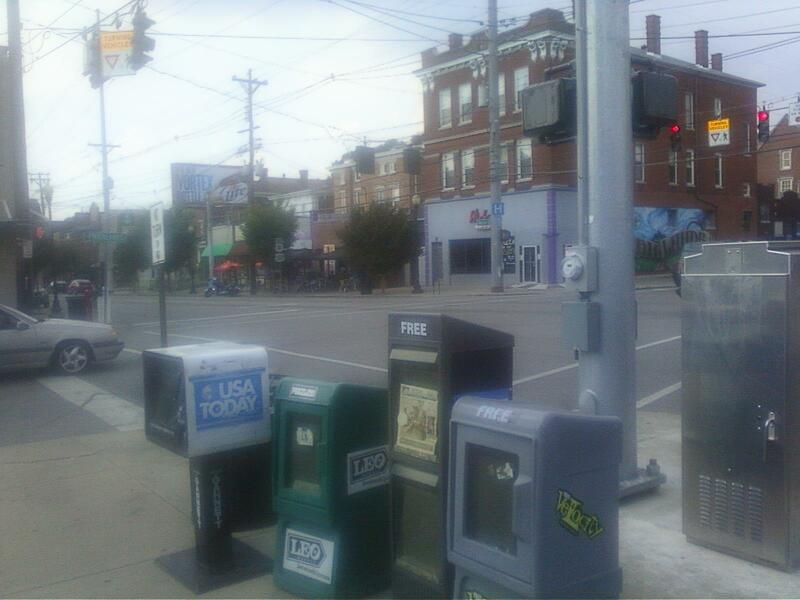 I live on Bardstown Road. If you live in Louisville, that means something, but for everyone else, let me explain. 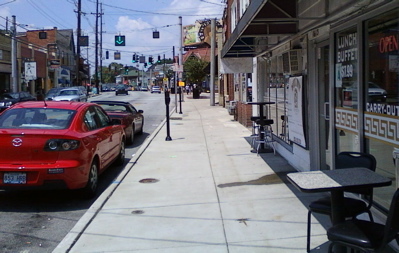 Bardstown Road (hereafter referred to as simply Bardstown) is amazing. I’ve only lived on Bardstown for four weeks, but I know it is wonderful, with many levels of wonderful I have yet to unwrap. It’s kind of like when you’re falling in love and you know it’s the person of your dreams, but you’re still discovering why. I’m intrigued by the Greek restaurant which boasts a lunch buffet for $7.99 and will at some point delight my palate. All of the boutiques provide outfit inspiration just from their window displays, and the ones offering clothes designed by local artists make me want to get a sewing machine. Normally I’m able to resist the vintage jewelry shop immediately in front of my house, but when Marja puts a display out on the sidewalk, I’m forced to turn my eyes from its glories. One Asian restaurant advertises something in its window called “THE EGG ROLL MACHINE,” which also begs to be sampled at some point as well. I’m not a guitar player, but the shop across from our place impressed even me with the variety of it’s merchandise. I could go on all day about the Hookah cafe, the frozen yogurt place (which has been sampled), the blown glass shop, the Indian market, the palm reading place with cafe tables out front (not too sure what that’s all about), the African baked goods store, a myriad of coffee shops, the Homemade Ice Cream and Pie Kitchen (which has also been tried, praise the Lord! ), the micro brewery where you can drink beer outside ONLY if seated at their tables, and so much more! It’s a delight to walk my dog amongst so many interesting things. It’s a delight to drive down my street and discover a shop I missed seeing up until that point. It’s a delight that hand in hand with all those fascinating shops is an oil-change garage, a CircleK, two different vacuum cleaner stores in apparent competition, a Kroger, dentists, real-estate agents, and a quick-mart. These completely normal businesses lend such an air of credibility to the coolness of the neighborhood. I’m sure you can imagine, with so many quirky and thrilling things to see and do on Bardstown, that all of Louisville comes to hang out there. No, I’m not exaggerating. ALL of Louisville comes to Bardstown, especially on Saturday nights. And that’s something else that makes me love my street. On any given day, I appreciate the people I see on Bardstown. I enjoy the mix of hippies, heavily tattooed/pierced people, upper-class hipsters, toothless old guys, and pink haired girls. But that’s just the people who live in my neighborhood. When the street gets crowded with the people who’ve put on their best to enjoy a night out on Bardstown, I love it here even more. I love the smells coming from the restaurants and how every parking spot is taken, even on the side streets. I love seeing people with that “I feel cool, just because I’m on Bardstown,” look. I love the excitement that fills the air. I love that people are excited to come and hang out for a bit in a place that I live all the time. And it’s a good thing I love it, because I’m writing the rough draft of this blog at 1:50 AM on a Sunday morning, since the Bardstown revelers didn’t stop shouting (probably drunken) conversations in the alleys behind our house until about 10 minutes ago. Hope you enjoyed my street folks… now go home to bed. Louisville, How’d We Get Here? We’ve moved to Louisville, KY to plant a church. If that’s news to you, it might be a good idea to start with reading a couple of blog entries back. So why did we decide to start a church in Louisville? The Lord pretty much threw church planting in our faces until we got what He was trying to tell us. He wasn’t quite as forthright about location, but one thing He did make clear to our hearts was that our next season of ministry needed to be birthed out of relationship. One relationship specifically seemed to have a lot of grace on it and that was with a church called Covenant Community Fellowship in Indiana, just outside of Louisville. CCF was planted a little over two years ago by a friend of ours from Bible college and they have a vision to assist with planting more churches in their region. The Lord also spoke to our hearts via another church planting pastor, who told us to plant somewhere we would be culturally comfortable. Chris was raised in Arkansas (about as South as you can get) and I was raised in WI (about as North as you can get), so what was culturally comfortable for us was a little vague. We figured our best bet would be somewhere right between the two. Louisville is influenced by both Southern and Midwestern culture. It is sometimes referred to as either the northernmost Southern city or the southernmost Northern city in the United States. We saw relationship and region coming together and the more we looked into Louisville, the more life we felt on it as the location we were being called to. As our hearts grew toward Louisville, I researched specific neighborhoods to see if anything jumped out. One in particular caught my eye, called the Highlands. It embodied elements that had always held a lot of attraction for Chris and I and seemed like it had the kind of vibe we were looking for. First chance we got, we took a trip down to Louisville to see the city for ourselves. When we arrived, we immediately stopped at a coffee shop downtown to take advantage of wi-fi an get our bearings. When we ordered, the barista asked us what we were doing in Louisville. We replied that we were just checking out the city and he immediately said, “You need to go to the Highlands.” He proceeded to tell us more about the Highlands, but offered no other suggestions for exploring Louisville. Just the Highlands. When we drove into the neighborhood we instantly fell in love. There was a kind of chaotic excitement in the air. Not completely a good excitement, but it was compelling and gripped our hearts more than any other area of the city. And now we’re here, right in the heart of the Highlands. We are discovering that the way we felt when we first visited the neighborhood was more accurate than we realized. There is an excitement in the air that isn’t necessarily all good. And we can’t help but love it here. This is a quick and crazy, thrown together blog to update everyone on our arrival in Louisville, with special thanks to Starbucks and their internet. And if you are wondering what we’re even doing in Louisville, check out launchdestiny.com. The drive from Pittsburgh to Louisville was uneventful, which is a good thing, because the moving in part wasn’t exactly easy-peasy. I was all excited to see my new house for the first time! Only problem was our keys wouldn’t open the lock… something to do with new keys and an old lock. To save the day, Chris and Phillip (Chris’ brother) climbed on top of the fence, Chris climbed on top of Phillip and then he climbed onto our neighbor’s porch roof and into our apartment window. 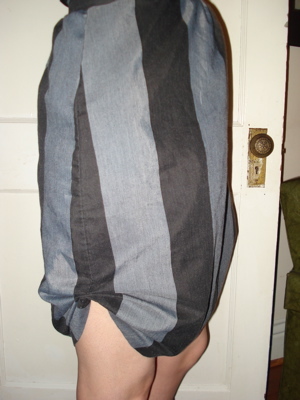 So that problem was solved with no loss of life (although I am going to have to mend Chris’ shorts). Then the movers we’d hired through U-Haul showed up 2 hours late. Which wasn’t really helpful of them, but we were glad they came at all, since Chris and Phillip were not enjoying unpacking the whole truck by themselves. Now, here’s where the loss of (furniture) life comes in… Our apartment is on the second floor, in an old, old house. Think twisty stairs and narrow doors. And then think big, fat couches. Yeah. The movers BARELY succeeded in getting our love seat up and refused to even try the couch (whimps). I was tired, and in full-fledged post-moving blues, so I was not a happy camper. Not to mention that our apartment was kind of on the filthy side. So being told I was not going to have a couch did not fill me with joy and joyness. My husband likes to have me happy, so he agreed to try again today. Phillip, Chris and I used our best maneuvering skills. But standing at the top of the stairs, holding the full weight of a large couch that refused to turn a corner, even I was willing to admit that it MIGHT not fit. I was pretty disgruntled, but then I had the idea that a couple of overstuffed type chairs might look pretty cool in my new living room. And suddenly I felt better. Chris assured me that he would procure whatever I needed and that we would not be forced to sit on the floor for our entire stay in our new place. So if you live in Louisville, keep your eye on Craigslist for the add for an amazing dark sage couch. Because you know you want to buy it! Setting aside all the above mentioned trauma, I am pretty sure I love it here! I love how the neighborhood feels. I will love my apartment when it is clean. I love the things the Lord is speaking to my heart. This is going to be so good! And the highlight of my day? Unpacking a box of dishes and finding a love note from Pittsburgh friends, written on a paper plate. And as I type that, my eyes are not tearing up in Starbucks. Not too much anyway. A few days ago, I blogged about how our family is moving to Louisville, KY to start a church. (Read about that here) So I wanted to share how the Lord brought us to the decision to become church planters. Probably a year before “everything began,” Chris commented that he thought starting a church from scratch was cool, because you were able to establish the vision that God was giving you from the very foundation. My retort was that it wasn’t that cool because church planters don’t get paid. There’s some faith for you! You know that feeling when you go downstairs to do something, but when you get there you can’t remember what you were going to do? Or when you’re taking a test and you KNOW you know the answer, but it’s just at the tip of your brain and you can’t quite grab it? A little over a year ago, Chris and I started to get that kind of feeling. An “I know something is up, but I don’t know what it is,” kind of feeling. Pretty much the only way to get to the bottom of a feeling like that is to seek the Lord. So that’s what we did. We prayed a lot, talked with mentors, fasted and all that good stuff. We came to a couple conclusions. The Lord was preparing us to move and it needed to come through relationship. And we talked about starting a church. A lot. We tried to look at options other than church planting, but when we did it felt like walking through Jello. It felt like death. But when Chris and I dreamed together about starting a church, it felt like our hearts came alive. Suddenly I didn’t care about getting paid (who really needs to eat, anyway?). All I wanted to do was church plant. I wanted it so bad it surprised even me! Even though we really WANTED to be church planters, we didn’t just go on that. We kept praying, kept trying other options, kept asking the Lord for clear direction. The Lord spoke to us through a lot of different means: in our hearts, through the Word, through other people. But church planting is big step, so we kept weighing things and seeking clearer direction. One day Chris just laid it out before the Lord and said, “Jesus, I need to know TODAY if you’re wanting us to plant a church or do something else.” That day he got a text before breakfast, had a conversation over lunch, and got an email after dinner: 3 different people, who had no idea what we were weighing, suggested that we plant a church. Once we were set on starting a church, we needed to discover where and how. And that’s another blog for another day.